Working in tech means you get used to its capabilities to disrupt whole industries, and the trillion-dollar meat is no different. In fact, there’s a strong argument to be made in favour of the meat-industry requiring this kind of disruption, with reports suggesting it has massive impacts on the future of our planet and indeed, our personal health. Plant-based proteins engineered by the likes of companies such as Impossible Foods and Beyond Meat are working on replicating the satisfaction associated with traditional meat burgers, using substitutes such as ‘heme’ that taste and even bleed like normal burgers. Gone are the days when a veggie burger means a mushy broccoli patty, or a cold unidentifiable substance dotted with peas. We’re innovating because there’s a recognisable need for change, and the change looks delicious. Beyond Meat isn’t just a niche organisation that’s making small waves: most notably, it’s received investment from the likes of Bill Gates and Leonardo Di Caprio. What’s more interesting however is an investment that’s come in from Tyson Meats, one of America’s largest producers of meat, indicating an awareness that the interest in sustainable eating patterns is only going to increase, as is their stake in the group. Beyond Meat isn’t the only organisation to be making waves, either: in the last year alone, plant-based food groups such as Daiya Cheese was acquired for $325 million dollars, while Field Roast had the same happen for $125 million. In a previous video, I’ve explained how Clean Tech is growing at a rapid rate, with groups looking at how tech can be applied to solve the water shortage crisis. Producing a single pound of beef takes 1,846 gallons of water: that’s equivalent of 46 ten-minute showers. In the United States alone, factory farming for products such as dairy, meat, and eggs account for 37% of methane emissions, which has more than 20 times the global warming potential of CO2. If these statistics sound grim, that’s because they are, but it isn’t all doom and gloom. We’re lucky to live in an age where technology enables us to work proactively towards implementing more sustainable practices. In a recent article, the Alliance of World Scientists(a group of 15,000 scientists from 184 countries) concluded that humans must change their behaviour and switch to a plant-based diet to prevent environmental destruction. So what’s next? Plant-based diets have seen a notable spike in the last two years, and as Food Production groups endeavour to produce goods that replicate the taste, texture, and aesthetic of meat, there’s no doubt we’re getting closer to getting more people on board. One just has to take a look at YouTube taste tests to understand the popularity of vegan substitutes are gaining in mainstream culture. 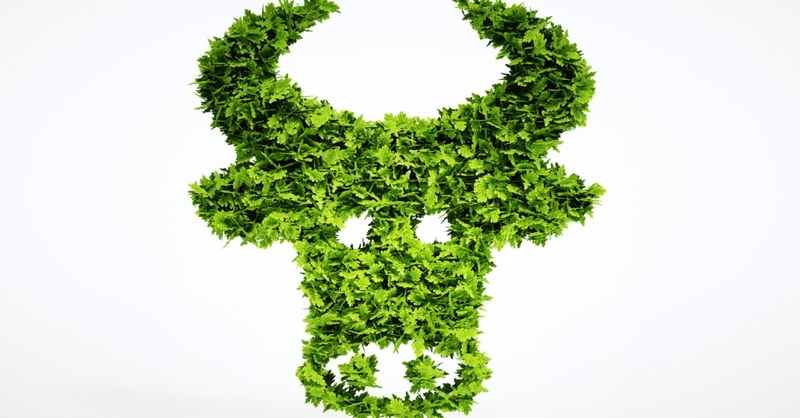 As investment in plant-based groups increases, and more organisations understand the environmental ethical responsibility they have, there’s no doubt things are looking up. If you can keep the taste and ensure the longevity of the planet, there’s little left to debate over. Let me know your take on this in the comments below!